In recent years, brick and mortar stores have seen declining sales and a struggle to stay relevant. With the National Retail Federation predicting online sales to grow three times faster than the retail industry as a whole traditional retail has been forced to adapt to an increasingly digital shopping experience. This has lead to the trend of “experiential retail.” In an attempt to lure customers back into stores, retailers are thinking creatively, transforming their spaces into fun, on-brand experiences, infused with activities, personalization and technology. One of the leading pioneers of experiential retail, Rebecca Minkoff’s SoHo flagship store has rolled out an impressive array of features since 2014. 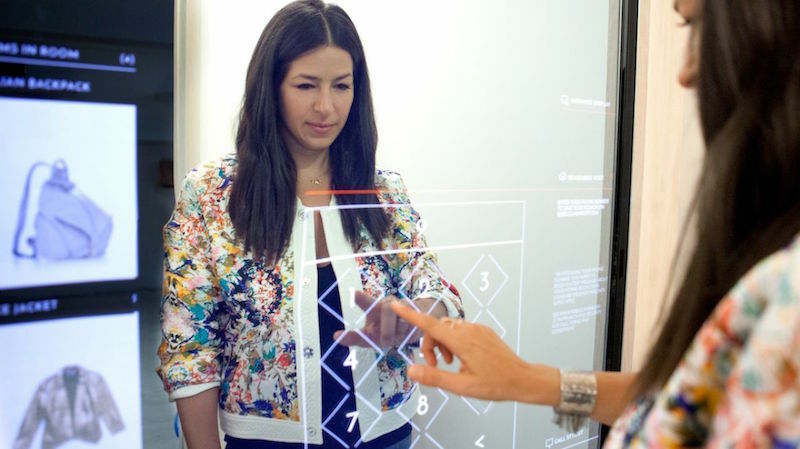 Some of our favorites: an interactive video wall, fitting rooms outfitted with “Magic Mirrors” that let shoppers browse and order different styles or sizes of clothes and offer mood lighting choices, and self check-outs for small goods and accessories. Outdoor lifestyle brand Timberland recently unveiled a new concept store at the King of Prussia mall in PA. Dubbed the Timberland Tree Lab, the new store features curated product collections and brand stories in a gallery-style setting that will completely change every six weeks. 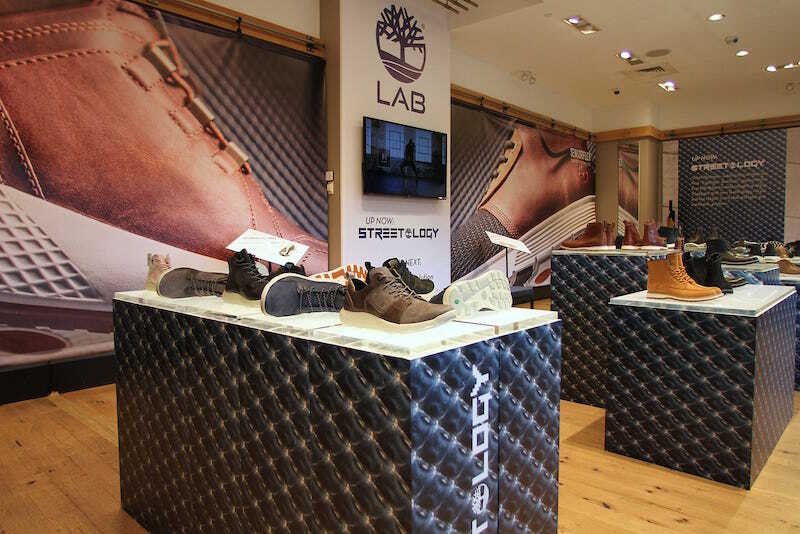 With its debut theme Streetology, shoppers can test new products and discover the brand’s new comfort technologies with a Timberland-style periodic table – all while sipping on local craft beer or water served in bottles intended to be recycled into shoelaces. From interactive kiosks to complimentary phone charging stations (provided by yours truly), Saks Fifth Avenue has always strived to create positive experiences for its customers. Its latest launch, The Wellery, however, definitely takes the department store into uncharted experiential territory. 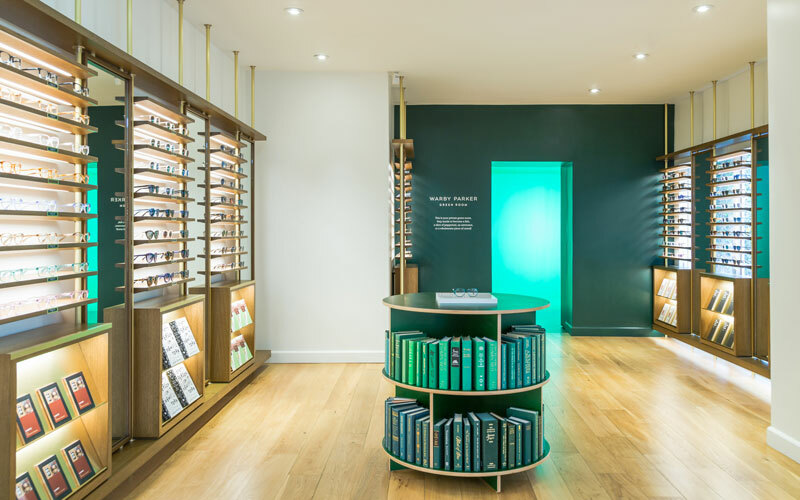 Located on the second floor of its flagship Manhattan store, The Wellery offers immersive health and wellness experiences, including nail studios with meditation guides and a “Breathe Salt Room” offering dry salt therapy. Perhaps most innovative of all is the luxury retailer’s “prison-style boot camp” ConBody, a $30-a-class fitness studio led by ex-convicts. Earlier this Spring, beloved French cosmetics brand debuted its largest flagship store ever at Herald Square in Manhattan. 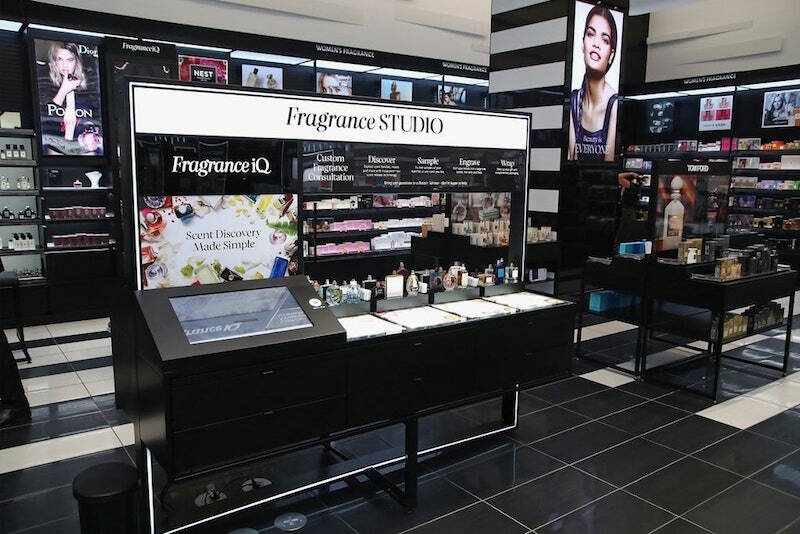 The sprawling 11,300 sqf space features a Beauty TIP (teach, inspire, play) Workshop, Beauty and Skincare Studios (equipped with “Magic Mirrors”), and its first Fragrance Studio, a sensorial station featuring InstaScent technology so consumers can test scents by inhaling them through a nozzle. Complimentary custom perfume bottle engraving is also available for shoppers who want to personalize their purchase. The brand responsible for single-handedly revolutionized the eyewear game has unveiled a new Hollywood-themed store. Located on sunny Melrose Avenue, the newest Warby Parker outpost is a playful homage to Los Angeles’ celebrated moviemaking history. The space is cozy and quirky, whimsically decorated with a large mural depicting various vintage Hollywood imagery, a wall of clapper boards, and a rotating movie marquee on the storefront. The biggest draw for consumers is undoubtedly the “Green Room,” an actual green room where shoppers can create (and share) fun, mini videos with 12 different backdrops – from an outer-space scene to an aquarium with a shark.